Growing up, I had a ketchup fixation. My favorite afternoon snack was ketchup sandwhiches. Yes, just ketchup, nothing else. I would put ketchup on everything. My eggs would be swimming in it and I never failed to put a dollop or two into my soup. One of my favorites was this clear bola-bola (meatball) soup with cabbage that my grandma used to make but wouldn't touch until I've turned the soup a dark orange color with ketchup. I was "the Red Guy" before there even was a "Red Guy". I'll be the first to admit that yes, it is a bit much and I am glad to announce that I have overcome my ketchup addiction since then. My taste has matured and my preference has switched to...Tomato Sauce! I can't resist a good dish mixed in with a gorgeously thick and velvety tomato Sauce. From pochero to osso buco, afritada to giniling, caldereta , menudo, pasta, pizza, chili con carne and everything red in between! The thought alone always leaves me salivating. A good tomato sauce is thick, rich, very flavorful and has the ability to add that extra special "zing" to a dish. 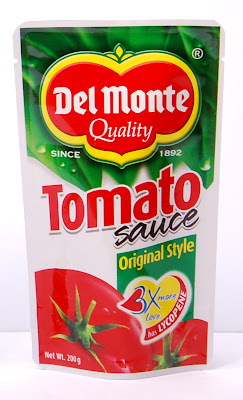 Growing up, our kitchen was always stocked with Del Monte Tomato Sauce and now that I have my own home and cook for my own family, it's still my brand of choice. Nothing quite compares to the taste and texture it delivers. Its premium quality makes it a great substitute for dishes that use fresh tomatoes. Not only is it more affordable, it also has a longer shelf-life making it 100x more convenient to stock. As a stay-at-home-mom and former restaurateur, I know how difficult it is to come up with different and effective menus every week to satisfy the palettes of my family and clients. There are times when you just run out of ideas. With Del Monte's new #RedMovement, blank grocery lists will be a thing of the past. 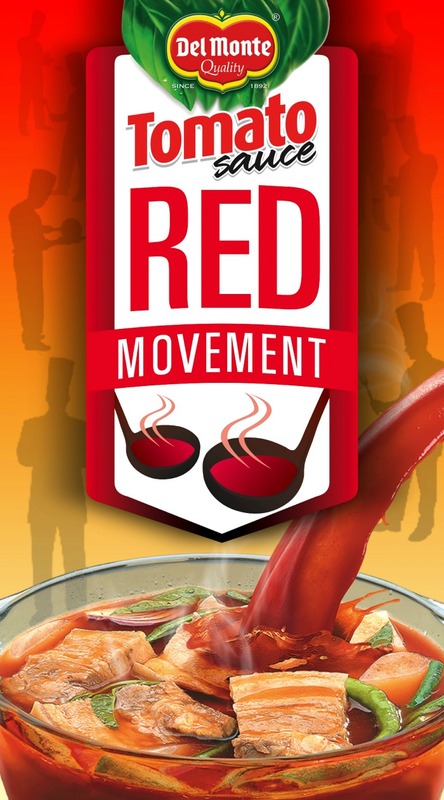 The Red Movement is a culinary revolution that will change the way you look at traditional dishes. Leading the way is their signature Red Sinigang. Still the same recipe but this time subsituted with a packet of Del Monte Tomato Sauce instead of regular tomatoes. The result is a bolder, tastier, more "malinamnam" Sinigang that will make your whole family rush home for your cooking! Del Monte Tomato Sauce is available in supermarkets, groceries, and market stalls nationwide. 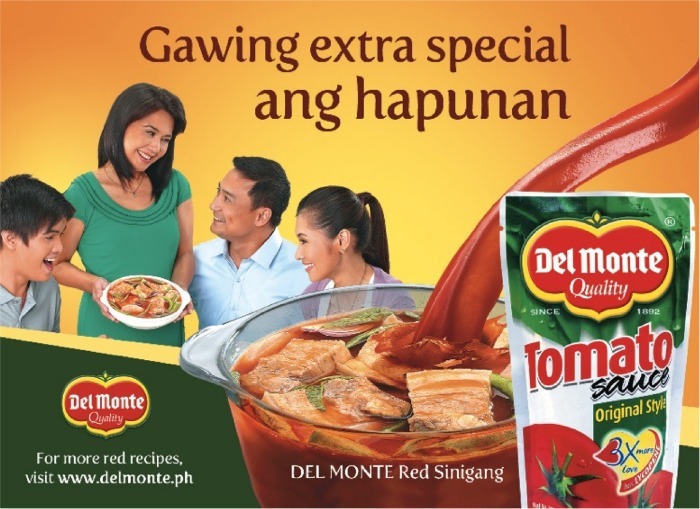 Join the #RedMovement, try the Del Monte Red Sinigang during your next Family Date Night. Come Home to Del Monte.